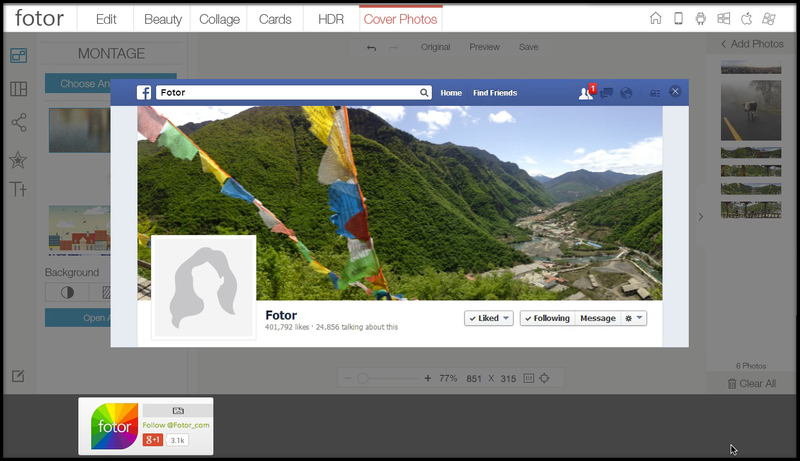 Did you know the size of Facebook Cover Photos is 851×315? Or that YouTube is 2560×423. Yeah, we didn’t either. That’s why we made a way for you to size your photos without all these annoying details. 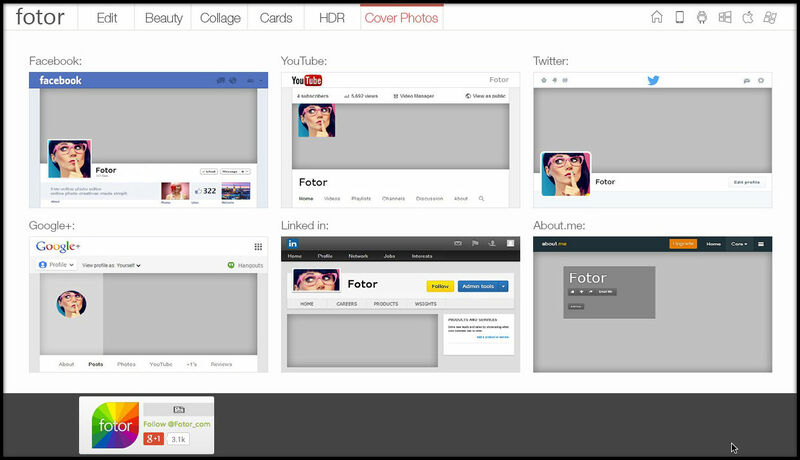 Now seamlessly create awesome cover photos for Facebook, Twitter, YouTube, Google+, LinkedIn, and about.me. 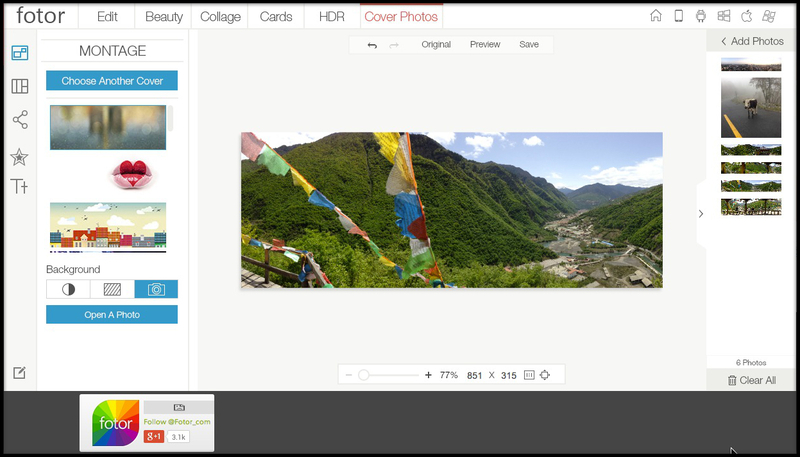 The Cover Photo Maker provides the exact dimensions necessary for each platform so you don’t have to worry about remembering all the different sizes for each platform. 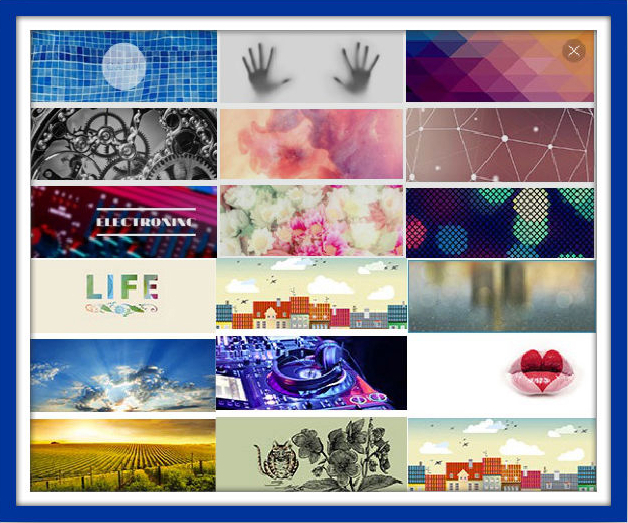 First choose which platform you want to create your Cover Photo. First choose between Montage and Classic. With Montage you can simply upload a photo to be your cover photo. 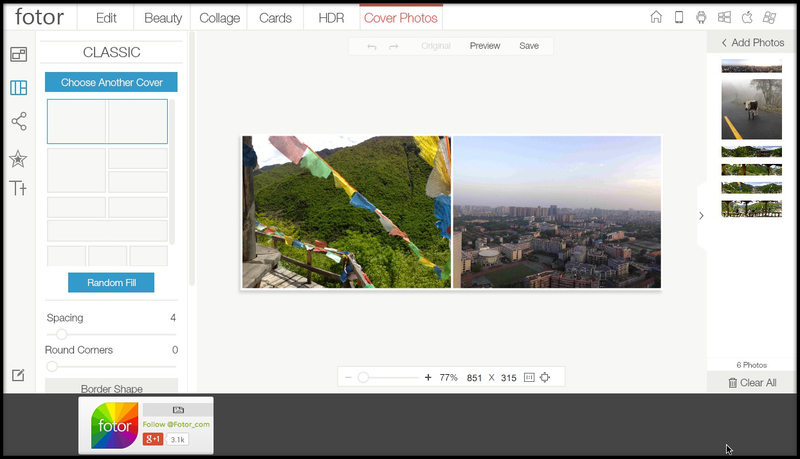 You can go further and place photos on top of an empty canvas, a preloaded template, or your own uploaded photo. Montage allows for lots of space for creativity. Play with it and have fun! This time let’s check out Montage and simply upload our own background photo. In the bottom left side under Background click on the camera icon and then click Open A Photo. Choose one of your own photos and it will appear in the Cover Photo Maker. You can click Preview to see how it will appear in Facebook. This is especially useful to see how the photo lays out in relationship to your Profile Picture. When you are happy with your Cover Photo save it to your desktop. Now go to Facebook and click Change Cover and Upload Photo. That’s it! You have a new Facebook Cover Photo. Easy, right? And just so you know, you can edit a your Cover Photos on Facebook, Twitter, YouTube, Google+, LinkedIn, and about.me in the exact same way. Get out there and get some good photos!